Celebrating over 2 Million Mindifi Listeners! #1 Medical app in the U.S. and 45 other Countries! See for yourself why so many people are using Mindifi's Deep Sleep and Relaxation hypnosis! If you've felt the effects of sleep deprivation, then you know that a good night's sleep is incredibly valuable and important. From the creators of the fast growing and Apple-featured Mindifi series, we introduce to you our Sleep and Relaxation Hypnosis. Immerse yourself into our custom created hypnosis sessions, specifically designed to give you a meaningful and restful experience. We have created audios covering every aspect of sleep and relaxation in order to give you a personalized experience catering exactly to your needs. 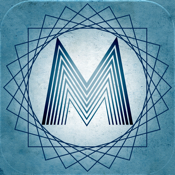 Mindifi brings you the most advanced and current hypnosis techniques, sound effects, music, and beautiful visuals to bring you an immersive all-encompassing experience. 1). Sleep like a baby- Enjoy FREE on us! Stress can wreak havoc on the body if you let it. Check out our list of the best iPad apps for stress awareness and learn how to avoid, prevent or manage stress.